Your go-to fancy dress. 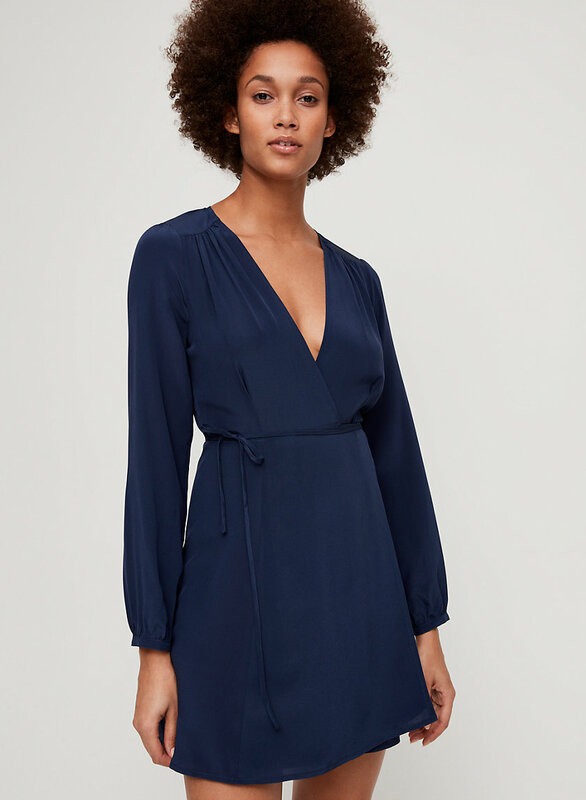 This is a wrap dress with a deep-V crossover bodice, voluminous lantern sleeves, and self tie. 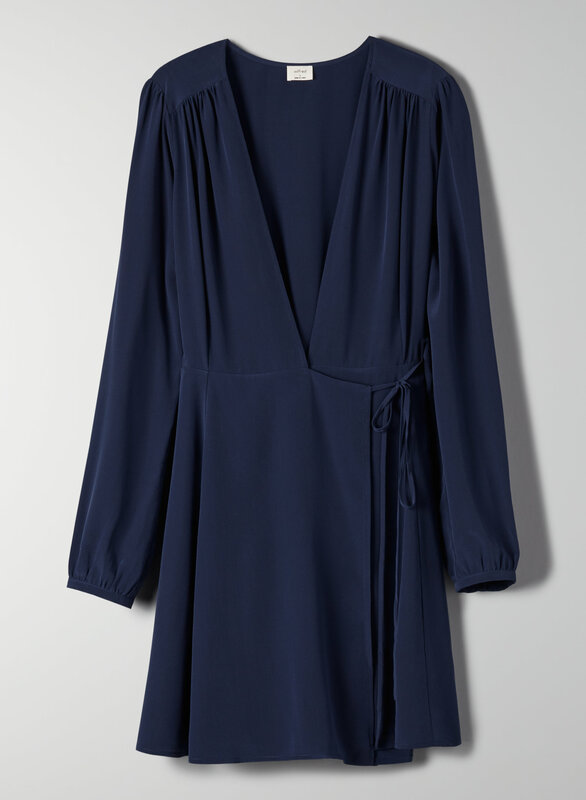 It's made with 100% silk that's been sandwashed for a soft, sueded look.